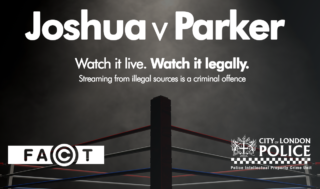 Two men have been sentenced at Teesside Crown Court after pleading guilty to charges relating to the sale of IPTV boxes which allowed people to illegally stream subscription content, infringing the rights of copyright holders. The convictions follow an investigation led by National Trading Standards. Julian Allen, who pleaded guilty on 31 July 2017, received a suspended prison sentence of 21 months. 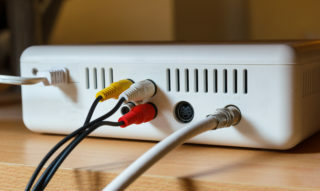 Mr Allen operated a company called Geeky Kit, based in Billingham, which sold IPTV boxes both direct to consumers and other businesses for resale, from its premises in Billingham and online. 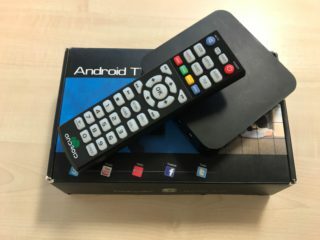 Geeky Kit openly advertised that the IPTV boxes would provide customers with free access to subscription content, infringing the rights of copyright holders. One advert from the company claimed the boxes would give customers access to “The latest movies (including those in the cinema), All the live sports (including 3pm kick offs), TV show box sets (including the latest US releases)”. Geeky Kit’s total sales from IPTV boxes were more than £150,000. Brian Thompson, who pleaded guilty on 25 September 2017, received a suspended prison of 18 months. Mr Thompson operated a business that traded as Free.TV.Stream.Box (based at Dundas Arcade, Middlesbrough) and subsequently Cutprice Tomos TVs (based at 196 Parliament Road, Middlesbrough). This business sold IPTV boxes, which were supplied by Geeky Kit, directly to consumers. It is believed the business generated revenue greater than £17,000 through the sale of IPTV boxes. The investigations into Mr Allen and Mr Thompson were led by the National Trading Standards North East Regional Investigations Team. Support for the investigations was provided by FACT. Kieron Sharp, CEO of FACT said: “Some people tend to think this is a grey area, however it is very black and white. Selling pre-configured streaming devices that allow access to content you normally would have to pay for is illegal. “Similarly using one of these illegally pre-configured devices to stream and watch TV, sports and films without a legitimate subscription or the right permissions, is also breaking the law. “The people behind this type of criminality are not Robin Hood characters; they are criminals who do it to make money through illicit means. In the case of Julian Allen he was profiting hundreds of thousands of pounds from his criminal business. “It is not just about the film stars, the big broadcasters and the film makers. The illegal sale of pre-configured streaming devices have a significant impact on the U.K. economy and the livelihoods of the millions of people working to put the TV, sport and films we love on the big screen. From groundsmen to make-up artists – millions of people’s jobs are at risk when it comes to piracy.